As a Mom, I’m careful about keeping the apple of my eye away from harmful skin care products. Since my hubby happens to be a doctor, I often count on him for product recommendations. Who doesn’t want their baby to be healthy and happy? Mothers go the extra mile to ensure their babies’ overall wellness. Therefore, it is of paramount importance that the baby care products we use are safe and effective. 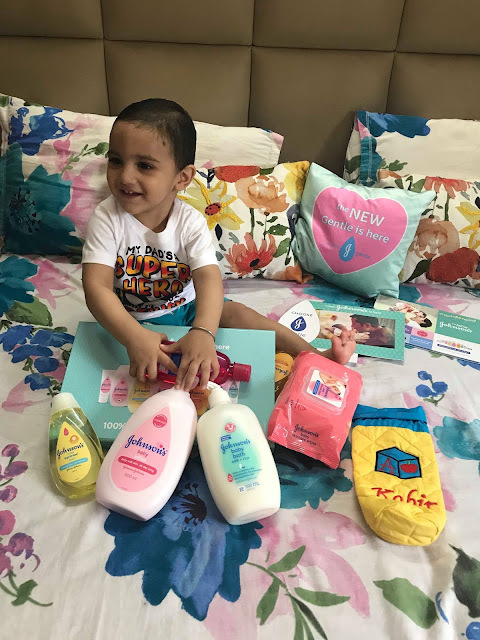 We were recently introduced to Himalaya BabyCare. I have been using Himalaya products since my teenage. Himalaya is a household name and one that is widely trusted by moms and doctors alike. The fact that their research team meticulously works with herbs that do wonders for baby’s skin makes their products more trustworthy. They are pure, gentle, and safe. 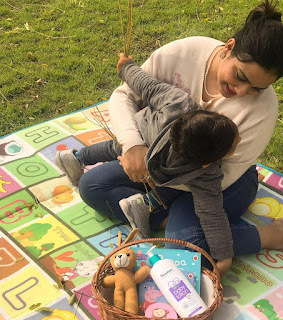 We have had a great time this winter using Himalaya Baby Lotion for Kabir, my son, who is about to be 2 years old. Free from parabens, mineral oil, and synthetic colors, the Himalaya Baby Lotion is enriched with the goodness of Almond Oil and Olive Oil. It not only nourishes and moisturizes his skin, but also makes it softer and smoother. The mom in me can’t be happier seeing my baby glow and get nourished. I’m excited, delighted, and thrilled to explore more products from Himalaya. Why am I Proud to be a New Johnson's Mom? 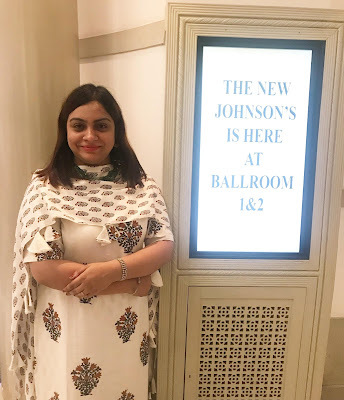 I am often asked by friends, family and peers in the blogging world about my unending and over-brimming love for all things Johnson’s. 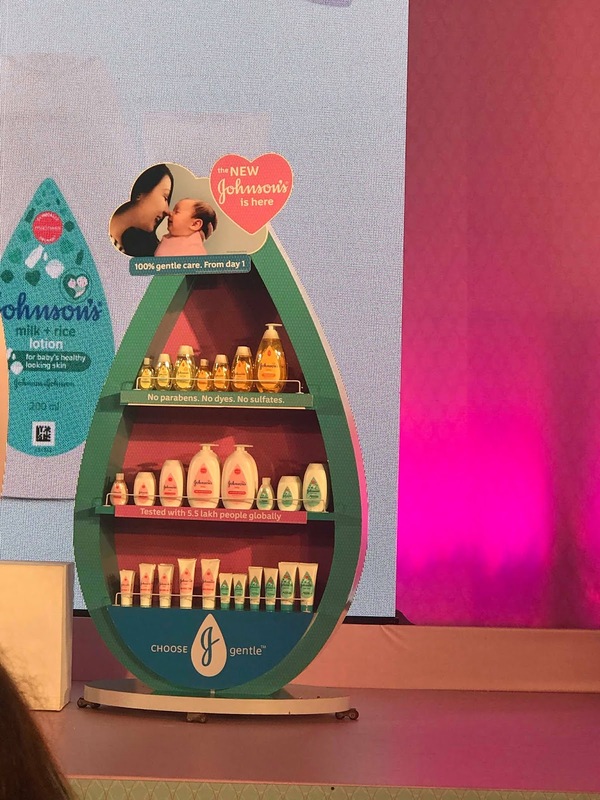 Well, I end up letting them know that I share an almost umbilical relationship with Johnson’s products that have been in my vicinity ever since I first opened my eyes to this beautiful world about three decades ago! A lot has transpired in these three long decades. Throughout my childhood, I lapped up a lot of gentle love and care courtesy my mom’s fetish for all things Johnsons for me. Right from being dipped into the tub with Johnson’s baby soap to making soap bubbles or being dusted with the signature Johnson’s powder after bath to emanating that sweet Johnson’s fragrance throughout the day, I came to develop quite a strong equation with the brand. So much so, that when I happened to encounter a Mathematics teacher called Miss Johnson in class tenth, I couldn’t be happier and at ease. The word became synonymous for all things trustworthy and motherly. Not to forget, I saw my mom using Johnson’s baby lotion to remove her make-up and moisturise her skin every night almost all my life. 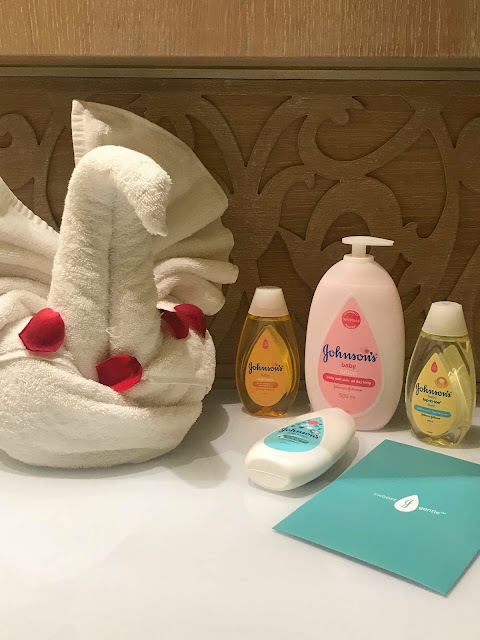 Likewise, when I reached the threshold of motherhood, I again turned to Johnsons to nurture and pamper my child the same way my parents had nurtured me many many moons ago. But of course, by then, my favourite brand had been subjected to the perils of digital marketing that thrives on cheap publicity, fabricated news and influenced articles. I had a tough time convincing everyone around about the purity of a brand that had stood the testimony of time for over 125 years. It’s definitely impossible for a brand that has a massive global outreach to have been doing something wrong and still going strong for over 125 years! None of those sleazy media gimmicks could shake up my faith in Johnsons. Now that its new and improved range is out, I couldn’t be more happier. My joy knew no bounds when like a ray of sunshine, I was selected among the few fortunate mom bloggers to be a part of the launch of New Johnson’s in Mumbai this August. I am sharing a few pictures of the wonderful event. Keeping toddlers engaged is a Herculean task! A toddler's mind is like a tabula rasa, or a clean slate - impressionable and eager to know. It therefore, becomes imperative for parents to ensure that they are doing their best to channelize their toddler's energy in the right direction. Being an Early Leaning Expert, I get to encounter a lot many children at work and otherwise. 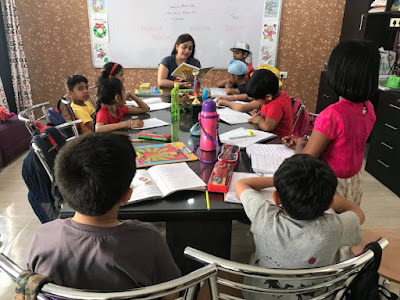 The most common volley of questions that make my way include suggestions on helping children get interested in learning, improving their focus, building their vocabulary, familiarizing them with English language and helping them inculcate decent communication skills. 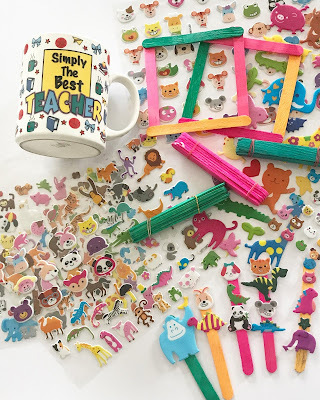 Quite often, my responses include a carefully planned introduction of colors, toys, everyday household objects and things that perhaps, make children believe that they are being involved in a fun activity rather than formal instruction or learning. The DIY Popsicle Counting Sticks for Early Learning are a perfect exemplification of this methodology. They may come in handy for helping children learn or revise the concept of counting number from 1 to 10. 10 popsicle sticks (colorful ones would be better) and a sticker sheet. It is easier than you could've imagined. 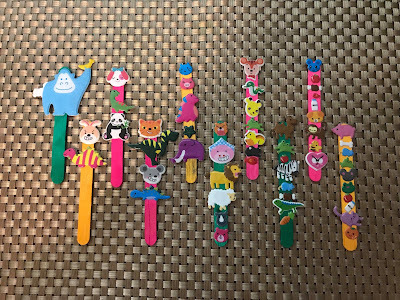 Simply choose and stick the selected stickers on to the popsicle sticks in simple mathematical progression. For instance, you may select a large sticker for 1st stick since it would have just one sticker signifying the quantity- 1. Go on, creating more sticks likewise. Remember to keep the smaller stickers for bigger numbers such as 8, 9 or 10 since there might not be enough room on the pospsicle stick to accomodate so many stickers. Once the sticks are ready, enocurage your child to identify the number spoken by you by choosing the corresponding popsicle stick. 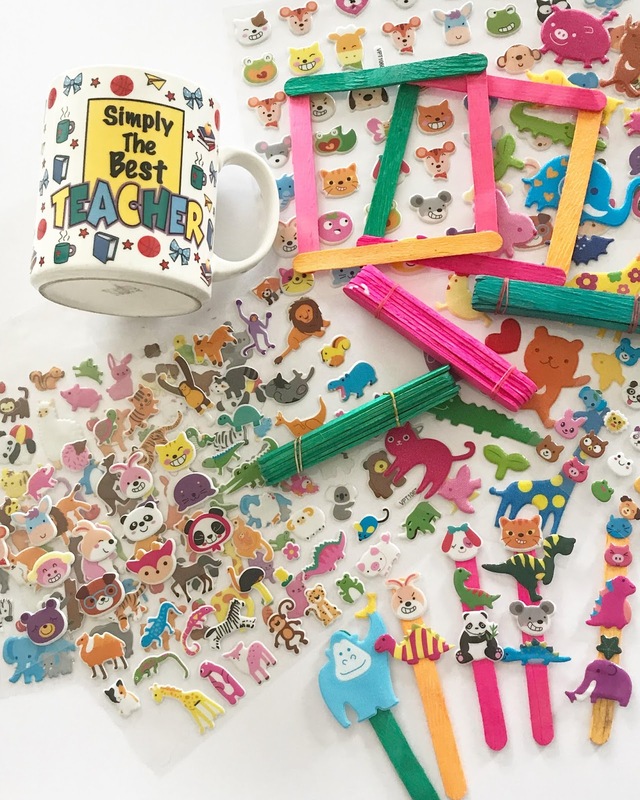 On the other hand, you may even reverse this activity by asking your child to prepare a counting stick by sticking on the said number of stickers on to the popscile stick. For more DIYs and fun learning actvities, visit my Insta Profile, being_mommie. 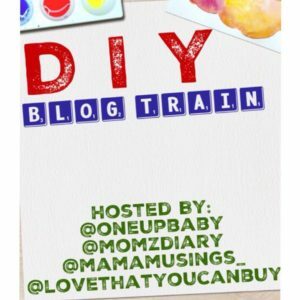 This blog is a part of The DIY blog train hosted by Oneupbaby, momzdiary , Mama musings, Lovethatyoucanbuy . Here we Moms have united to share different DIYs that you can easily do to keep your little one’s engaged. So hop on this train and save lots of fun ideas for your infants and toddlers. Looking for Printables for Your Children or Students? Being an Early Childhood Education Expert, I love classroom teaching - not the formal instructional part of it, but the finer nuances of ensuring that the children pick up the specific language learning intricacies and weave them around their everyday communicative competences. My love for teaching and the fact that I was trained by the wonderful and encouraging U.S. Department of State in the United States to imbibe the finer nuances of English language teaching-learning process and Leadership Qualities, gave way to the foundation of my baby venture called The English Language Studio. 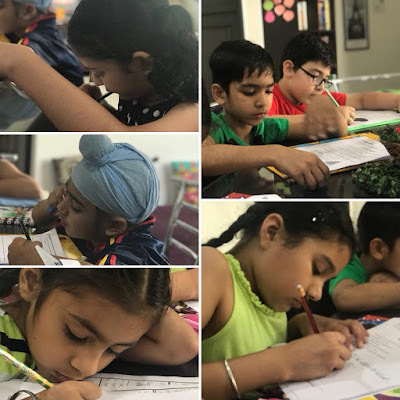 The English Language Studio is my haven in this big, bright and beautiful world - a tiny oasis of enthusiastic English language learners of all ages. We start from Kindergarten & Toddlers and go up to IELTS. As an educator, I always make it a point that my learners receive but the best - an engaging classroom session followed by equally engrossing activities, exercises and handouts/worksheets. Learning English in a fun way. I am often asked by teachers, parents and other learners about the sources of the wonderful concepts and worksheets that I use in my classroom. I would happily like to share that it is none other than Education.com. With a wide array of printables, games, and resources, it is a one-stop destination for all our language learning needs. Motherhood is an experience that is beyond the array of even the floweriest of words. It is a state of mind that is eternally euphoric, challenging and overwhelmingly precious. As a young girl, I often looked up to my mother as an epitome of compassion, selflessness and love. I used to be over the moon about the fact that perhaps, there was one person in the whole, wide world who would always put me before herself and wish nothing but the best for me. In a world reeling with selfish ad competitive people around, I thought this was something way too valuable! Little did I realize at that vulnerable age that this was a blessing that perhaps, every child in the world is bestowed upon with. Right from the cradle to the grave, every baby that arrives in this world tags along a guardian angel in the form of a mother. The masters of wisdom have waxed eloquent about the purity, selflessness and undiluted affection that mothers effortlessly ooze and are cherished for, since times immemorial. Motherhood is undoubtedly, a life-changing experience. It transforms a woman in ways that are truly miraculous and unfathomable. I remember how overjoyed I was when I found out that we were going to be parents! My husband was thrilled but slightly nervous with the thought of bringing a new life into this world but I was on cloud nine. I knew this was the next big thing that life had planned for me and I was more than happy to take on the responsibility that we were about to be blessed with. I can’t even begin to share my excitement when I saw my baby boy being taken out of my uterus in the operation theatre. Despite the nausea of the anaesthesia, I clearly remember every single detail of the birth of my first-born. My family was beaming with joy with the arrival of a grandchild and celebrations were in the air. Everyone wanted to join in the mirth and celebrate his much-awaited presence. However, I was equally enthralled with the dawn of a new role in my life – the day my son arrived in this world, I was reborn as a mother! 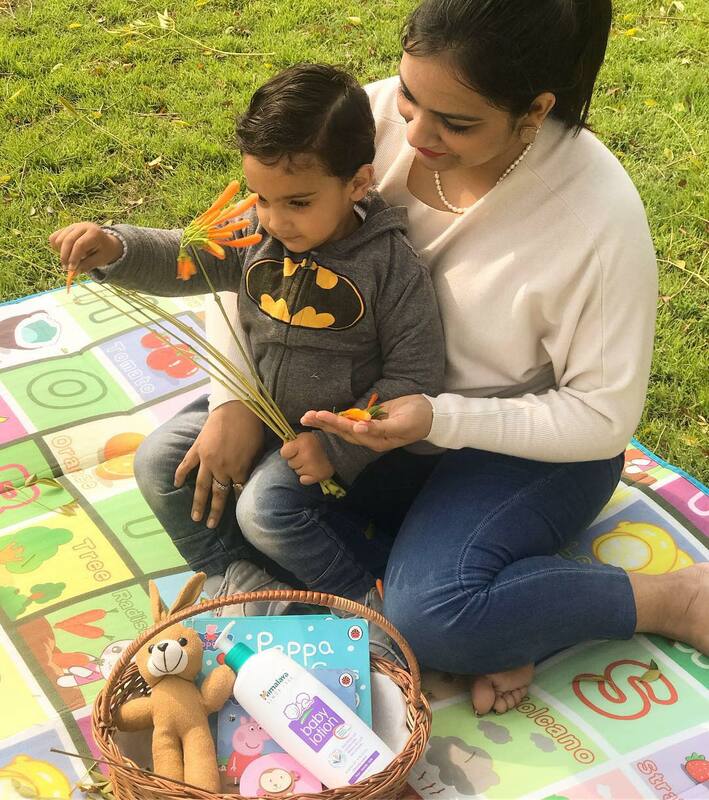 It’s been a year of wonderful motherhood – we’ve already made countless memories together, filled in a thousand photo albums, relived my childhood all over again. My baby is the best thing that has ever happened to me! He has now made me realize what it feels to have your heart beat outside your body. His thoughts consume every waking moment of my life and I can’t begin to thank the Almighty for blessing me with a gift so special! However, no matter how much I adore this new life, I would not hesitate to confess that it wasn’t particularly an easy ride! 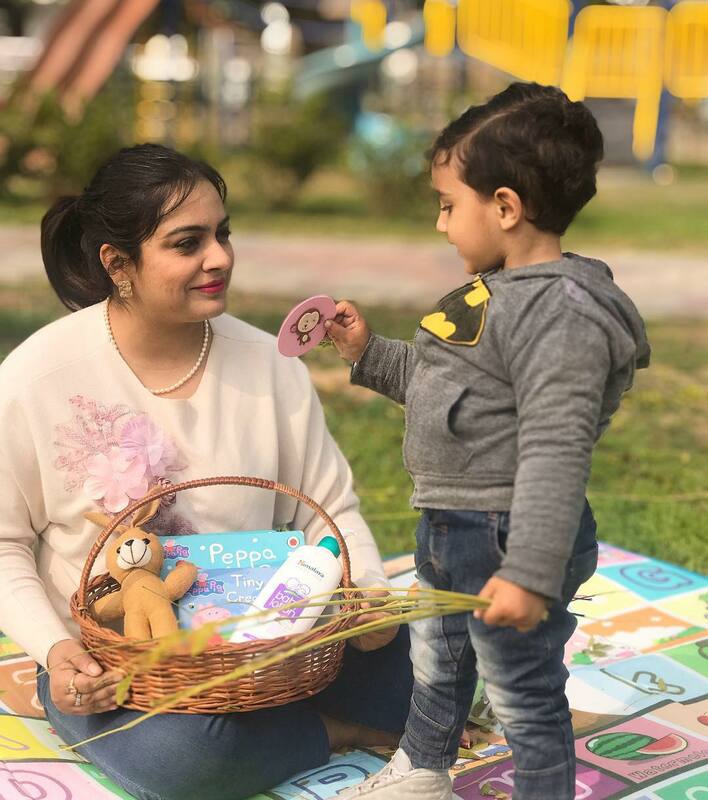 The joys of motherhood are also accompanied by numbing struggles, everyday transformations and unprecedented circumstances that may trigger a host of newfound emotions, hormonal changes and unpredictable mood swings. Here are some of the confessions and recommendations that I would love to share as a first time mother. Life isn’t going to be the same anymore! The fact that you’ve just taken on the responsibility of bringing up a tiny version of yourself could be quite daunting in itself. The reality may knock you off your senses in the early days. Motherhood is going to be difficult, demanding and exhaustive. It may tire your bones to the hilt and topsy-turvy your life completely in the initial few days bit it’s all going to be worth it. You are about to usher into the golden phase of your life. So just sit back and relax. Eventually, everything is going to fall into place. Do not allow the teething troubles to dampen your mommyhood spirit! Learn to get over the ‘Mommy Guilt’! Your baby is going to be fine and might take some time to adjust in the new world that he/she has just arrived in. Remember you and your family are doing your best, and you alone are in no way responsible for your baby’s discomfort during the early days. By and by, everything is going to fall into a rhythm. Let time spell its magic! Be patient. Be prepared to witness your body undergoing a frenzied mayhem of hormonal changes. It’s inevitable and there’s nothing that you could do about it. Reach out to your husband to get some much needed warmth, encouragement and pampering! Embrace yourself to be swept away by a wide array of overwhelming emotions. Being a mother is an instinctive journey and it definitely doesn’t come with a manual. You will learn on-the-go and be a pro at it, as time rolls by. Post-partum depression is a reality! Eventually the exhaustion of child birth and hormonal disharmony are going to take their toll on you. Remember it’s perfectly natural to feel low and not appreciate the ‘new you’ for the initial few days. Perhaps, nothing would gross you out anymore! You would find yourself having a brush with poop, puke and other not-so-pleasant experiences on a very frequent basis. The worldly filth wouldn’t really bother you much henceforth. It would also bring out the humane side in you and teach you a thing or two about compassion and empathy. You may miss indulging in the simple pleasures of life. A midnight coffee,a solitary walk on a quiet evening, a clandestine dinner date with hubby or a reading spree on a rainy day may now be a thing of the past. You are now going to be surrounded with responsibility 24X7 and would need to be around for your little one all the time, sacrificing your much needed rest or recreation. You may not appreciate or swallow all the mommyhood advice coming your way! It’s going to rain a plethora of unsolicited suggestions, recommendations and warnings. Don’t get bogged down by their overwhelming volume. Be a patient listener but a picky follower! Follow your instincts and you are anyways going to learn-on-the-go. No one’s born as a perfect mother! It’s natural to be hit by pangs of nostalgia as you struggle to settle into your new role! You may definitely want to go back in the sands of time and relive the carefree, reckless and unfettered days of independence but these are just ephemeral emotions and would gradually fade away. You’ll find yourself being increasingly consumed with thoughts of your little bundle of joy! Life is a beautiful collection of memories and motherhood is the most perfect album to preserve and nurture those memories for all times to come. A little patience, perseverance and optimism is all it takes to be a healthy, happy and exuberant mother. Happy mothers raise happy children! Being a parent is a wonderful feeling – one that gives us a chance to take a trip down our unforgettable childhood all over again. Reliving one’s childhood memories and nuances with one’s baby can be immensely joyful and thrilling! As a new mom, I love every single moment that I get to spend with my baby. Watching him grow and evolve is a feeling that is beyond words. Perhaps, it’s the most gratifying experience that I’ve ever had. As I witness my year old baby boy grow, explore and experience things in a world that is replete with technology, internet and everything ready-made and super-quick, I am often reminded of my own childhood back in the 1990s which might not have been immensely technocratic, fast-paced or spent in the lap of uber luxury, but it was certainly worth remembering through a lifetime. I am sure all parents, moms and dads alike, who spent their childhood during the 1990s would agree that ours was an era of satisfying complacency, steeped in traditional homely values and spent among the protected four-walls of trustworthy peers, neighbours and acquaintances who brought us up like flowers in a garden. We may not have been bestowed upon with an individual tablet or ipad each, might not have been stuffed with the most updated burgers or tacos every second day, may not have been to the coolest foreign destinations on the face of this earth every summer or might not have had our personal Facebook, Snapchat or Whatsapp accounts, but we were definitely way ahead of the current generation when it came to being knowledgeable, utilitarian or worldly-wise. Not to forget, we were definitely more complacent and gratified when it came to possessions, rewards or demands and enjoyed a blissful childhood brimming over with innocence, experiences and love in its purest form. I am sure that the children born in the current era are definitely smarter, confident and much more articulate than we were but I just wish that in a world that is constantly battling with the perils of consumerism, hoarding and flamboyance, there could be some respite. 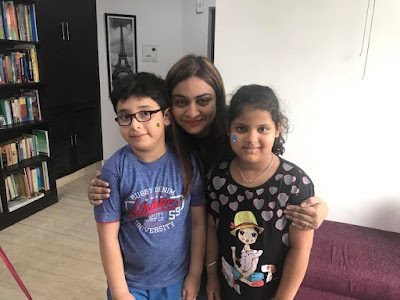 When I see children of today decked up in their flashy G.A.P and U.C.B outfits, sipping out water from their expensive Chiccos and MeeMee tumblers and holding ostentatious learning tablets or Augmented Reality toys in their hands, I often look at them with pity and wish they could enjoy the pangs of undiluted fun and merriment that we had through small, pocket-friendly or sometimes even free things and opportunities. Ø Painting and repainting our difficult-to-maintain but adorable white Batas. I remember spending many a Friday evenings trying to make them look spotless white the next day. Ø When Ladki ki Kaathi used to be our childhood anthem and no Annual Function would be complete without at least one class dancing on it to its fullest while the parents joined in as the supporting chorus. Ø When rainy days were reason enough to quickly tear away the last page of our school notebooks and create paper-boats. There used to be very many adept boat makers in every class and they would happily demonstrate their adroitness to the eager amateurs like me. Ø Much before Annabelle entered the world of horror and sent shiver down young spines, we had our very own desi bone-chilling versions in the form of Aahat and Zee Horror Show episodes that were absolutely not to be missed and painstakingly watched hiding under a duvet each week. Who cared about the reeling after-effects though? I spent many a Saturday nights sleeping clutched to my Mom’s bosoms unable to get over the intensely frightening scenes that I would dare to watch week after week. Ø Much before Taarak Mehta and Bhabhi Ji forayed into our lives, we had our uber cool uncle and aunty icons in the form of the cast-and-crew members of Shriman-Shrimati and Hum Paanch. Yes, we loved singing out loud while opening the doors because we wanted to look as cool as Sweety! Ø When we devoured packets of Lays and Cheetos not for their taste, but for their free tazos. Ø Our first brush with tattoos din’t take place in a high-end tattoo-artist’s den but through our 1 Rupee Big Babol that tagged along a free tattoo with every purchase. Kids would blow up their entire earnings accrued on Kanjaks on these tattoos way back then. Ø Kanjanks meant VIP treatment at the neighbour’s house with respected Uncle Ji washing our feet with water followed by the application of dark pink paints (alta) while Aunty Ji served us with delicious food that had a carefully folded 10 rupee note placed on top of the halwa over an expertly puffed poori. 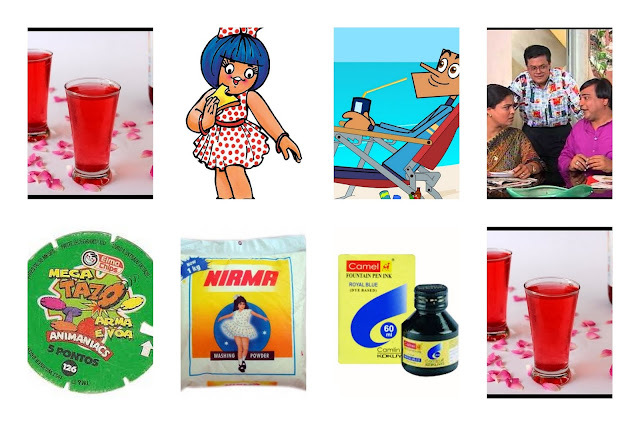 Ø The only television ad that made sense and enticed us was Washing Powder Nirma, Nirma! We bet one could never remember it without singing it out loud involuntarily. Ø We din’t have to look for youth icons in Justin Bieber or Lady Gaga, we had our very own Utterly Butterly Delicious Amul Girl to guide us through the way. Who din’t want to have that cutesy high ponytail and polka-dotted frock and roam around for compliments? Ø For quenching one’s thirst, one din’t had to open cans of Pepsi or Mountain Dew, we had our all-times favourites that included Frooti, Rasna, Jumpin and the sada-bahaar Rooh Afza. Nothing aerated, just pure fun! Ø Who knew about Halooween’s back then? We enjoyed our Fancy Dress Shows and rocked them like a pro. Be it a doctor, teacher, tree, fairy, Shatkimaan, Chandrakaanta or Cindrella – we’ve been there and done it all! Some of us even dressed as Madhuri Dixit, Indira Gandhi and Gangu Bai. We were spoilt for choices back then. Ø Most of us lost our hearts to Suppandi as the most favourite cartoon character. The Doremon, Pinnochio and Pokemon came much later on the scene. Suppandi was and shall always remain a legend! Ø We din’t need Facebook or Instagram to know our friends better. 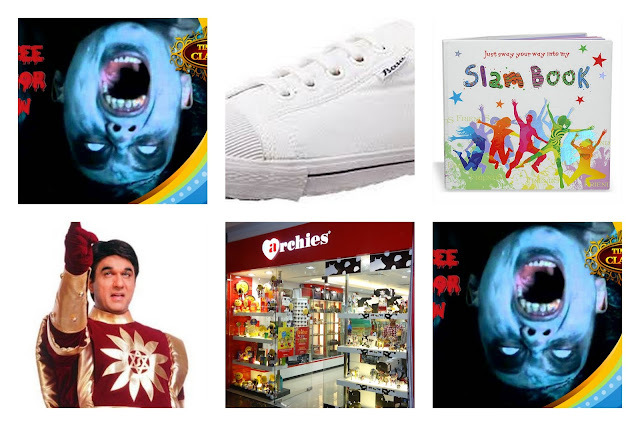 We had our very own powerful tools called Slam Books that laid bare everything down to basics. We made many a trips to the nearest Archies or Hallmark Store and always kept our collection updated. Ø Packing a school bag meant spending at least 10 minutes filling and re-filling our dearmost ink or fountain pens with signature camel blue ink and painting our fingers indigo blue. Interestingly, the ink always found its way to our faces and school uniforms much to our ignorance and amusement. Din’t you just go through an overwhelming pang of nostalgia remembering all these wonderful nuances of your childhood? Tag a friend and remind them of the wonderful childhood that you were undoubtedly blessed, to be a part of. 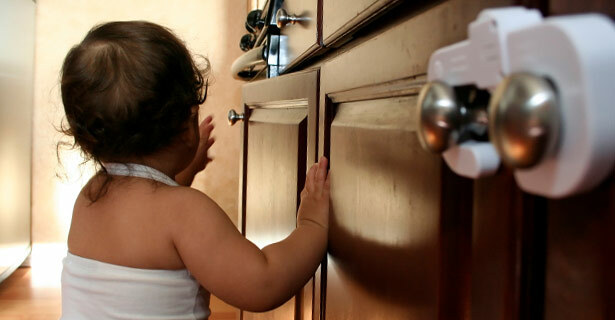 Many common household items can be potentially dangerous for babies. Baby-proofing a house can be challenging and exhausting. The best way to go about it is by trying to think on the lines of a curious, excited toddler who loves to crawl, climb and explore spaces in his/her own way. It could be a streneous job identifying objects that can be put into mouth, cause choking or even strangulation, be knocked over, cause poisoning or may even result in accidental drowning. Keeping a house baby safe is an important parenting goal. Necessary care must be taken to ensure that all major hazards inside the home must be done away with. Don't forget that it only takes a matter of seconds for a child to fall prey to an injury. Toddlers love to challenge their newly-acquired skills and are therefore, all over the place - jumping, crawling and putting things into their mouth. However, a little planning and some careful execution can ensure that babies remain injury-free within the four walls of their homes. Following are a few pointers to babyproof your house and allow your baby to explore his/her surroundings in a safe, unfettered and rest assured manner. Safeguard your washroom entrance, basins and other frequently wet areas with non-slip mats. Chasing a naked, wet baby through the house can be dangerous. 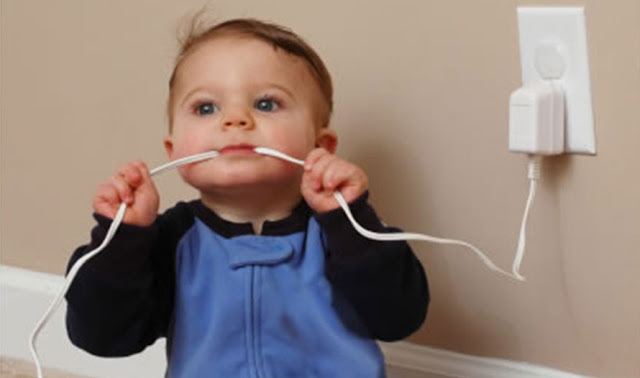 Don't forget to replace all electronic sockets within baby's reach with childproof sockets. Never leave insect or mouse traps in places accessible to your baby. God forbid! Keep cosmetics and medicines away from your baby's reach. Make sure your bathroom and kitchen cleaning supplies are safely tucked away on a high shelf or locked in a cupboard. Take measures to ensure that there's no way the baby might end up locking himself/herself in the restroom. Installing a lock at its entrance might be a good idea. Keep plants out of a baby's reach. They may cause allergies, choking or turn out to be poisonous. Keep your dustbins or recycling-bins away from a toddler's reach. Babies consider them to be toy boxes full of alluring stuff that is colorful, quirky and attractive. Keep remotes away from toddlers. Their soft and colorful buttons emitting flash-lights entice the kids to pounce on them. However, the coin-size lithium batteries could be potentially fatal and may cause choking hazards. Put up safety gates in front of any stairs in the house. Follow this checklist and sit back with ease as your child learns to explore the world in a zealous, unconfined, and ecstatic manner. Let the baby take on the world with a new-found confidence and unbridled enthusiasm! A zeitgeist dancing to the symphony of life! 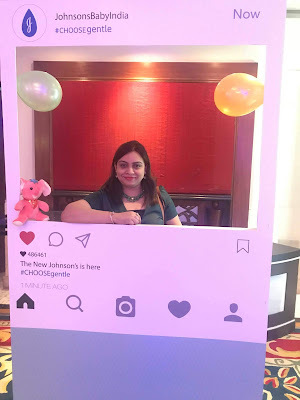 Write to me at mohita.saxena@gmail.com or connect with me at +91-9888586545.